The Arcus Argentariorum, Rome. On the right: Caracalla. On the left: a blob where the images of Plautianus and Plautilla used to be. Now that he was sole emperor, Caracalla removed his brother’s name (and face) from all monuments – including the Arch of Septimius Severus on the Forum – and went on a killing spree, having all of Geta’s friends and supporters murdered. Caracalla killed anyone who had ever even remotely sympathised with his late brother. According to Cassius Dio, some 20.000 imperial freedmen and soldiers were put to death. An incredible number, but not impossible, given that Geta’s party had been about as large as Caracalla’s. Several distinguished Romans were put out of the way as well. Among them were Papinianus and Patruinus, the praetorian prefects. They were murdered by the men they had commanded and dragged through the streets. All Caracalla did was rebuke the killers for using an axe instead of a sword when they murdered Papinianus. Papinianus’ son, a quaestor, was also killed, as were Caracalla’s wife Plautilla and her brother Plautius, who had both been banished to Sicily and then to Lipari. Caracalla also had plans to kill his tutor, Lucius Fabius Cilo. Cilo had been a distinguished politician under Septimius Severus. He had served as consul twice – in 193 and 204 – and had also held the office of praefectus urbi. Severus had given him a house on the Aventine, next to what is now the church of Santa Balbina. Cilo happened to be taking a bath when soldiers came to this house to arrest him, and he was taken away wearing just a tunic and slippers. The soldiers then began humiliating and mutilating him in public, and this led to public outcry. In a supreme bout of hypocrisy, Caracalla then ordered the soldiers to stop beating his tutor and “father” – he often called Cilo that. The emperor subsequently had the soldiers executed instead of the former prefect. Caracalla also had his cousin Septimius Afer killed and the suffect consul Publius Helvius Pertinax, whose only fault was that he was the emperor Pertinax’ son. The killing did not stop here. The new emperor also killed people from Marcus Aurelius’ family, i.e. his “own” family, presumably perceiving them as a threat to his own position. Among them were Cornificia, a daughter of Marcus, and Tiberius Claudius Pompeianus the younger, Lucilla’s son. Generals and provincial governors were accused of sympathising with Geta and removed from their offices permanently. Caracalla punished four Vestal Virgins, who had not kept their virginity. 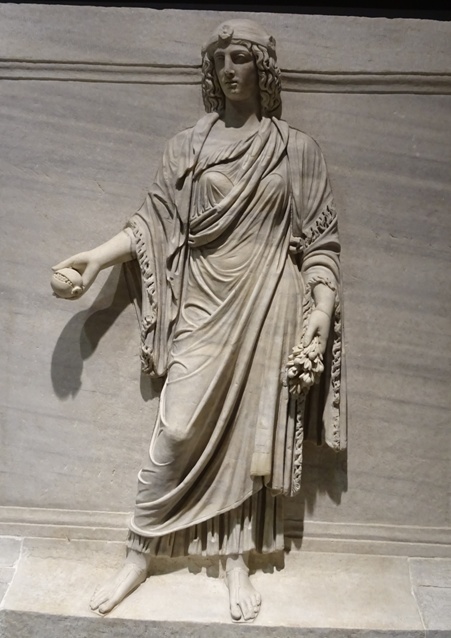 Three of them were buried alive – the traditional form of punishment for a Vestal Virgin – and one of them committed suicide. A hostile tradition mentioned by Dio claims that it was Caracalla himself who had in fact taken one of the girls’ virginity “when he had still been able to do so”. It was said that Caracalla had become impotent later on in life, although that may just be another fancy story about a man who was never popular outside the army. “and the taxes, but the new ones which he promulgated and the ten per cent tax that he instituted in place of the five per cent tax applying to the emancipation of slaves, to bequests, and to all legacies; for he abolished the right of succession and exemption from taxes which had been granted in such cases to those who were closely related to the deceased. This was the reason why he made all the people in his empire Roman citizens; nominally he was honouring them, but his real purpose was to increase his revenues by this means, inasmuch as aliens did not have to pay most of these taxes. A priestess of Isis, personifying the province of Egypt (Museo Nazionale Romano, Rome). So Caracalla raised existing taxes, instituted new taxes and abolished exemptions. And since these taxes generally applied only to Roman citizens, he gave Roman citizenship to all non-Romans in the Empire. At least, according to Cassius Dio, whose account needs to be read with some caution, as he generally vilifies Caracalla. I think it is fair to say that the Constitutio Antoniniana did have important implications. The vast majority of inhabitants of the Roman Empire were now Syrians ánd Roman citizens, Thracians ánd Roman citizens, Gauls ánd Roman citizens. Granting citizenship to almost everyone would have had at least some unifying effect (in the long term), as the people living in the ethnically, religiously and culturally diverse Roman Empire now had one thing in common: they were all Romans. The Constitutio Antoniniana also had consequences for the army: until then, only Roman citizens were allowed to serve in the legions. Non-Romans served in the auxilia. Since now practically everyone was a Roman citizen, the old distinction between legionaries and auxiliaries gradually disappeared. – Historia Augusta Geta 6.